Robert Wohlforth was a journalist, novelist, government investigator, and publisher. And he was a successful survivor of attacks during the McCarthy era. Born in 1904 in Lakewood, N.J., Robert M. Wohlforth attended Princeton University (where many of his papers now reside) and graduated from the United States Military Academy at West Point in 1927. He served for a short time as an officer of the 18th Infantry, but was unhappy with the military and soon resigned. In the late l920’s he worked for the New York Daily Telegraph as a reporter and theater critic, but also began to write articles critical of the military establishment. In one piece, which appeared in “The North American Review” in August 1934, he pointed out that the Army spent $2 million annually feeding mules and only $495,000 for armored vehicles. 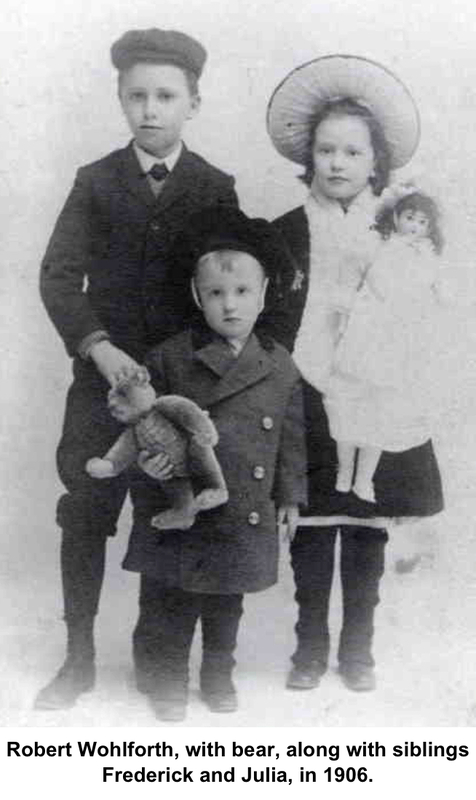 Wohlforth also wrote a series of reminiscences for the New Yorker, called “My Nickelodeon Childhood,” recounting his experiences as a boy helping his father operate one of the ﬁrst movie theaters on the New Jersey shore. In 1934 he joined the staff of the U.S. Senate’s Nye Committee, which spent several years investigating the “merchants of death,” as the munitions industry was then called. This led to his appointment in 1936 as secretary of the La Follette Committee, which conducted a three-year investigation of labor spying, strike breaking, and other civil liberties violations that affected labor unions. In 1939, President Roosevelt appointed Wohlforth to the Antitrust Division of the Department of Justice. When World War II broke out, he headed the War Division, which investigated an international web of economic connections among Nazi-run firms. He continued to work for the Justice Department until 1952, when “he was forced out of government employment by the McCarthyite witch hunt of the period,” his obituary said. Wohlforth had worked in government with people who were later identified as communists or Soviet sympathizers. Wohlforth soon began a new career in publishing with Farrar, Straus and Giroux. He was hired by Roger Straus, a founder of the company and became treasurer of the publishing house, retiring in the mid-l980’s. He helped write the town’s ﬁrst zoning ordinance and served on the Zoning Commission for many years. He and his wife, Mildred, who lived in an 18th Century house on Rockwell Road, were inﬂuential in the effort to create a historic district on Main Street. He served as chairman of the Ridgefield Library board and was a director of the Nature Conservancy. 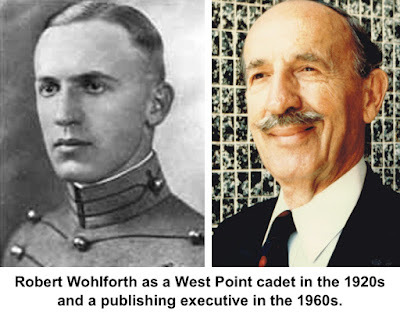 When he was working for the government, Wohlforth also helped a number of Ridgefield families of Italian ancestry in obtaining citizenship for their relatives. In 1977 when the town celebrated the 200th anniversary of the Battle of Ridgefield with an re-enactment, he played the part of General Benedict Arnold, one of the battle’s heroes, riding a white horse in colonial uniform. He died in 1997 at the age of 97. Mildred, a journalist and a novelist (also profiled in Who Was Who in Ridgefield), died in 1994. They had been married for 64 years at her death.